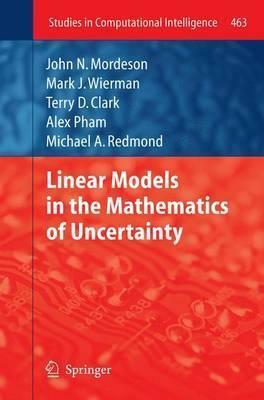 The purpose of this book is to present new mathematical techniques for modeling global issues. These mathematical techniques are used to determine linear equations between a dependent variable and one or more independent variables in cases where standard techniques such as linear regression are not suitable. small (effects of nuclear warfare), where the experiment is not repeatable (the breakup of the former Soviet Union), and where the data is derived from expert opinion (how conservative is a political party). In all these cases the data is difficult to measure and an assumption of randomness and/or statistical validity is questionable. We apply our methods to real world issues in international relations such as nuclear deterrence, smart power, and cooperative threat reduction. We next apply our methods to issues in comparative politics such as successful democratization, quality of life, economic freedom, political stability, and failed states. Finally, issues involving deaf and hard of hearing children are explored. Illustrations note 8 Illustrations, color; 7 Illustrations, black and white; XXVIII, 265 p. 15 illus., 8 illus. in color. Part I Mathematics Of Uncertainty.- Part II The Problems.- Part III Applications.- Part IV Analysis of Results.